None of us wants to throw thousands of dollars down the drain or put our family’s health at risk. 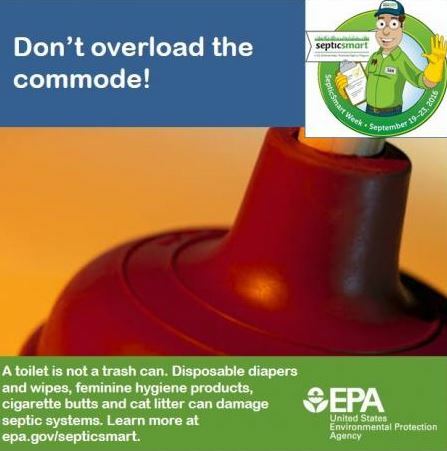 But if you have a septic system and don’t maintain it, you could be doing just that. It costs only $250 to $300 every four years to maintain your septic system. But repairing or replacing a broken septic system can cost $3,000 to $7,000. 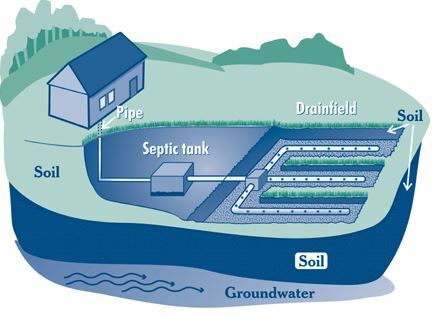 And just as important, a poorly maintained septic system can contaminate groundwater/drinking water and spread disease. Septic systems are highly efficient, self-contained, underground wastewater treatment systems. They are commonly found in rural areas and often consist of a septic tank and a drainfield. The waterline coming into your home doesn’t have a meter. Inspect and pump regularly: Your septic system should be inspected and pumped every three to five years by a certified septic system professional. Use water efficiently to avoid overloading the system: Consider using high-efficiency toilets and showerheads. When using the washing machine, be sure to select the proper load size to avoid using more water than needed. Never pour cooking oil or grease down the drain. Never pour oil-based paints or solvents down the drain. Eliminate or limit the use of a garbage disposal. Never park or drive on your drainfield. Plant trees an appropriate distance away from your drainfield. A septic service professional can advise you on the proper distance. Keep roof drains, sump pumps and other rainwater drainage systems away from your drainfield area. Excess water can slow or stop the wastewater treatment process. Information for this blogpost was taken directly from EPA’s “A Homeowner’s Guide to Septic Systems” and Groundwater Foundation materials.